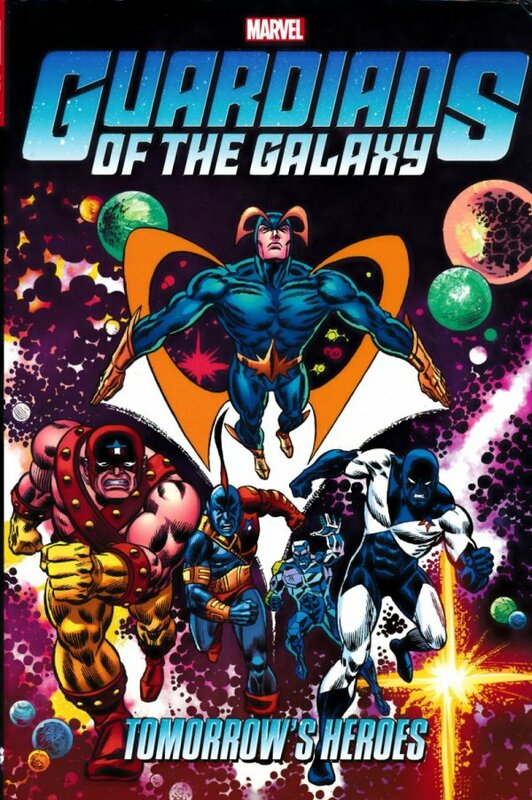 A thousand years from now, Vance Astro, Yondu, Martinex and Charlie-27 will rise to free the enslaved planet Earth - as the Guardians of the Galaxy! Soon, Captain America, Doctor Strange, the Thing, the Hulk and more join the time-spanning heroes in the war to reclaim the future! Threats arise from other worlds - as well as new allies Nikki and the uncanny Starhawk! But when Guardians and Avengers join forces in the present day, will even the combined might of two millennia be enough to stop the deranged demigod Michael Korvac? Plus: the Silver Surfer, Ms. Marvel, Spider-Man and Adam Warlock! 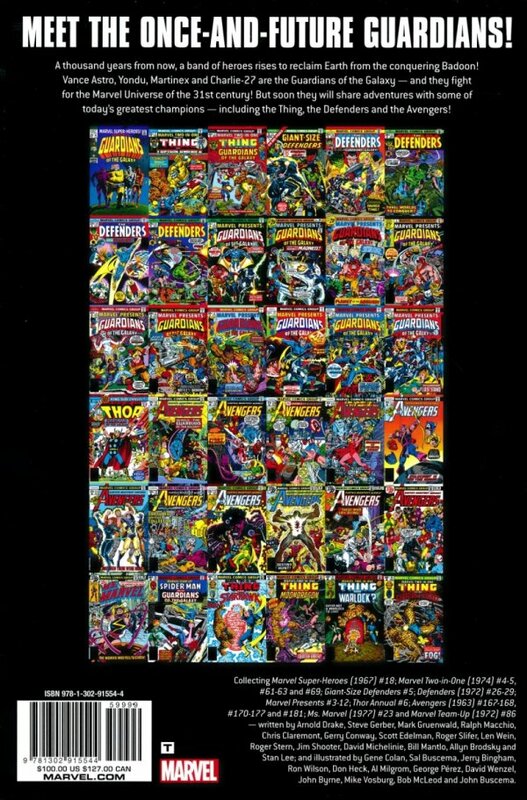 Collecting MARVEL SUPER-HEROES (1967) #18; MARVEL TWO-IN-ONE (1974) #4-5, #61-63 and #69; GIANT-SIZE DEFENDERS #5; DEFENDERS (1972) #26-29; MARVEL PRESENTS #3-12; THOR ANNUAL #6; AVENGERS (1963) #167-168, #170-177 and #181; MS. MARVEL (1977) #23; and MARVEL TEAM-UP (1972) #86.